WASHINGTON (CNN) - Roger Stone, a longtime associate of President Donald Trump's, tried to get information related to Hillary Clinton from WikiLeaks founder Julian Assange through a mutual acquaintance during the 2016 presidential campaign, The Wall Street Journal reported Thursday, citing emails it reviewed. The Journal reported Stone sent a message to New York radio personality Randy Credico in September 2016 requesting he ask Assange for any emails that the newspaper described as "related to Mrs. Clinton's alleged role in disrupting a purported Libyan peace deal in 2011" while serving as President Barack Obama's secretary of state. The news raises questions about Stone's statements to the House Intelligence Committee last year as part of that panel's probe into Russian interference in the presidential election, in which he said he had just "wanted confirmation" that Assange had information about Clinton, the Journal reported, citing part of the transcript that was made public. 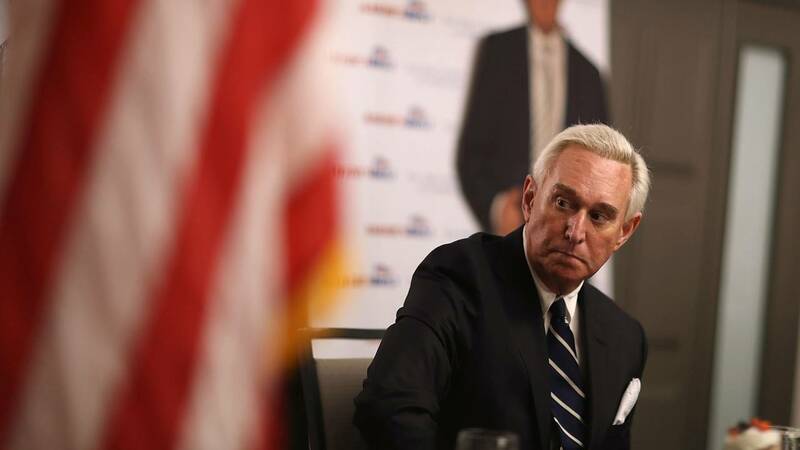 The newspaper's report comes after special counsel Robert Mueller recently subpoenaed two of Stone's associates. The Journal reported last month that Mueller is looking into potential ties between Stone, WikiLeaks and Assange, citing an individual familiar with the matter. Stone said last week on NBC's "Meet the Press" that neither he nor his lawyer has had any contact with the special counsel's office. Credico, who had interviewed Assange weeks earlier, replied to Stone that WikiLeaks would have the information on its website if such documentation existed, the Journal reported, to which Stone responded, "Why do we assume WikiLeaks has released everything they have ???" In a separate email, Credico told Stone he needed a "little bit of time," saying Assange might appear on his show the next day. Credico added hours later, "That batch probably coming out in the next drop. ... I can't ask them favors every other day. I asked one of his lawyers ... they have major legal headaches riggt (sic) now .. relax." Credico told the Journal in an interview that although he told Stone he had passed on the message, he never actually conveyed the request to Assange or his lawyers; rather, he only said that he had because he "got tired" of Stone "bothering" him and owed Stone a favor for helping get Libertarian presidential candidate Gary Johnson on his show. CNN has reached out to Stone for comment. Stone told the Journal that Credico "provided nothing" to him and WikiLeaks never handed anything over. "I never had possession or access to any Clinton emails or records," Stone told the newspaper in a text message. Rep. Adam Schiff, the top Democrat on the House Intelligence Committee, told the newspaper that the emails in question were not given to congressional investigators. In remarks to reporters after he spoke to the committee, Stone said he had a "frank exchange" with lawmakers and "answered all of the questions." Stone told the Journal that his testimony was "complete and accurate." Stone's lawyer, Grant Smith, told the Journal that the emails were not provided to lawmakers because they were "not encompassed within the scope of the committee's request." Smith referred CNN to his comment to the Journal. WikiLeaks and a Clinton spokesperson did not respond to the Journal's requests for comment.